Shuttle Discovery To Blast Off On Final Flight Space shuttle Discovery, the workhorse of the shuttle fleet, has carried almost 200 astronauts and numerous science missions to space in its three decades of spaceflight. It launches on its final flight, to the International Space Station, Thursday afternoon. 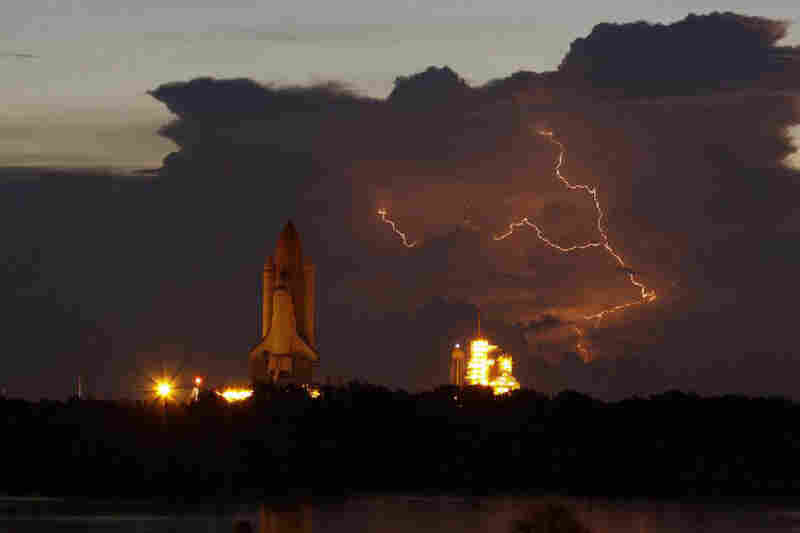 Summer lightning near the launchpad slowed Discovery's rollout at Kennedy Space Center in Florida during August 2009. Prepping for a 2008 flight that took a Japanese module to the International Space Station, Pilot Kenneth Ham checks a manual in Discovery's cockpit. 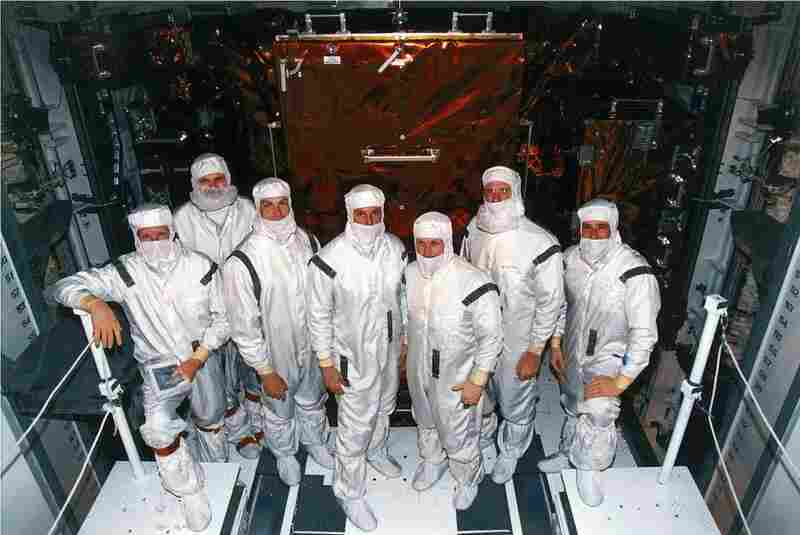 Crew members of STS-82 decked out in their clean room suits at Launch Pad 39A. 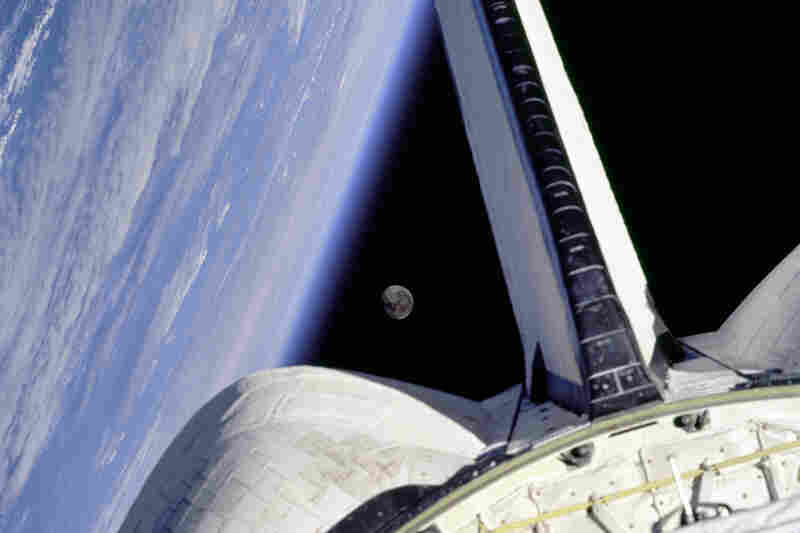 That's where Discovery underwent final preparations ahead of its 1997 mission to service the Hubble Space Telescope. From left are Mission Specialists Steven A. Hawley and Steven L. Smith, Payload Commander Mark C. Lee, Mission Specialist Gregory J. Harbaugh, Mission Commander Kenneth D. Bowersox, Mission Specialist Joseph R. Tanner, and Pilot Scott J. Horowitz. 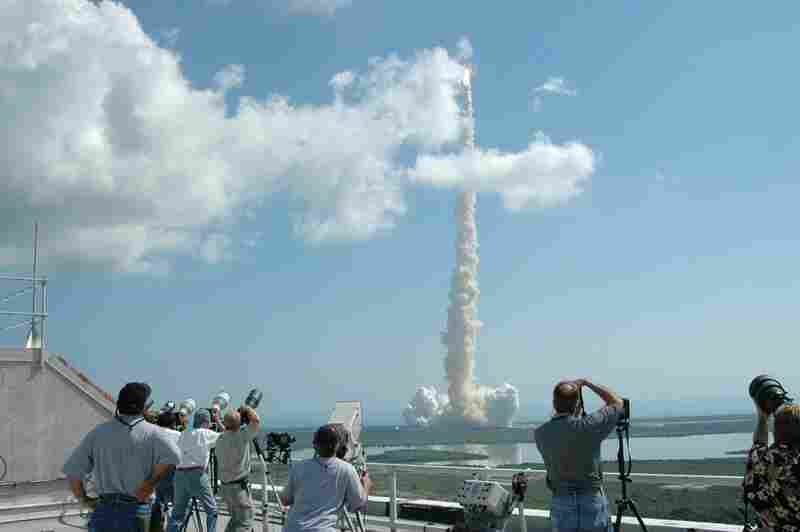 All eyes were on Discovery at NASA's Kennedy Space Center News Center on July 26, 2005. The successful launch was the first space shuttle flight after the shuttle Columbia disintegrated over Texas while re-entering the Earth's atmosphere on Feb. 1, 2003. Discovery leaves the International Space Station on June 11, 2008. 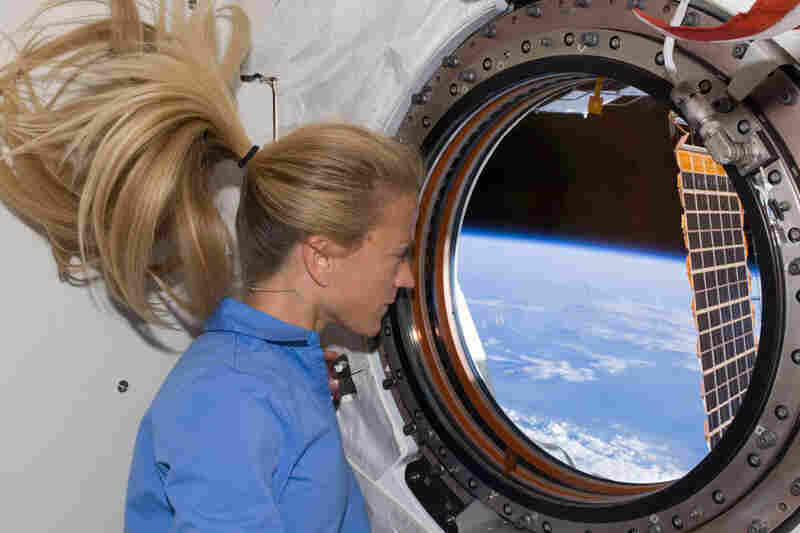 Astronaut Karen Nyberg peers through a window of the International Space Station's newly installed Kibo laboratory. Space shuttle Discovery ferried the lab from Earth and is docked with the space station. Flying here over the Earth's Atlantic Ocean in 1998, Discovery's STS-95 mission was notable for carrying Sen.John Glenn, the first American to orbit the Earth, back into space. 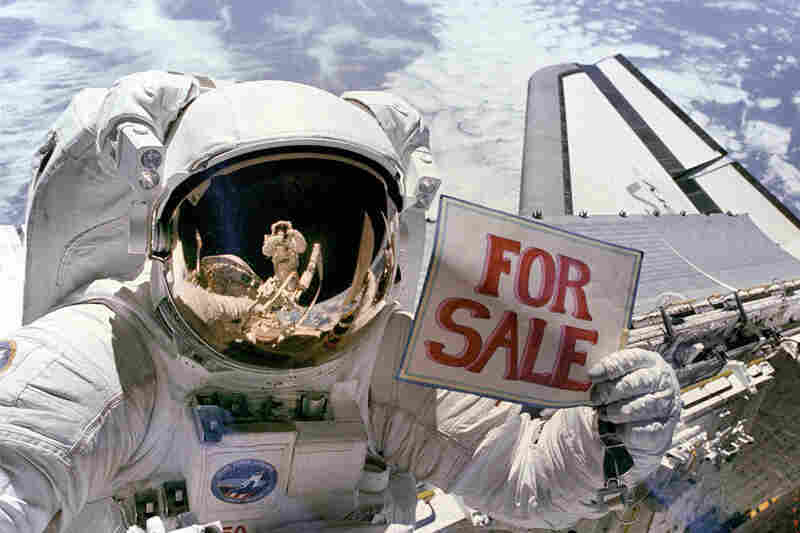 Having just completed a major portion of his second spacewalk in three days, astronaut Dale A. Gardner has a little fun, holding up a "For Sale" sign that refers to two satellites — Palapa B-2 and WESTAR VI — that had to be retrieved from orbit in November 1984 after their altitude-boosting rockets failed to fire. 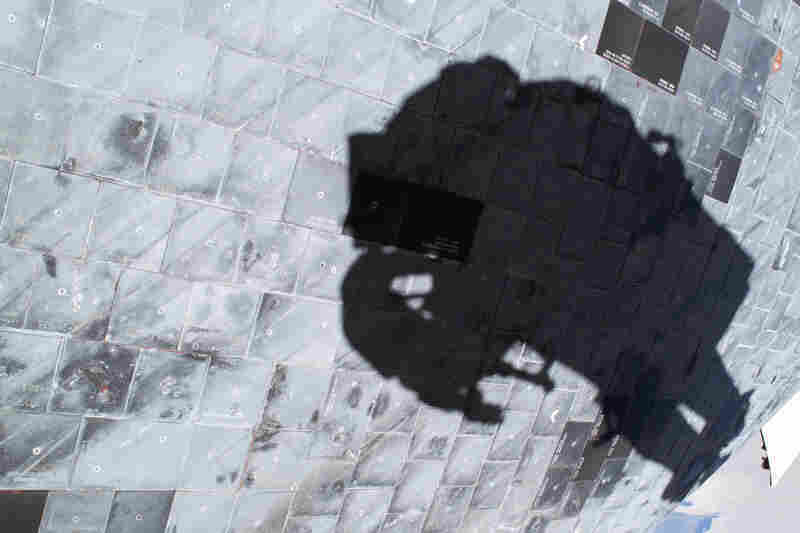 Astronaut Stephen K. Robinson captured his own shadow in 2005 while photographing a close-up of the thermal tiles that cover Discovery's underside, during the "Return to Flight" mission following the space shuttle Columbia disaster. 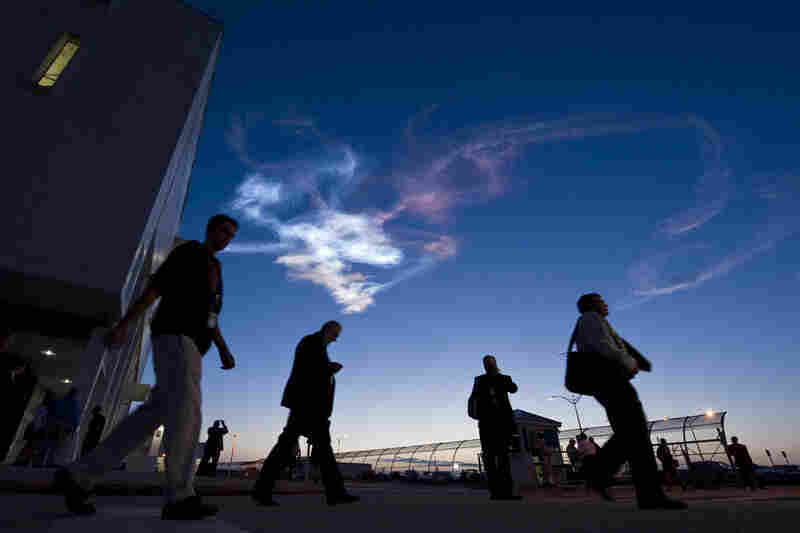 Workers leave the Launch Control Center at Kennedy Space Center on April 5, 2010, after sending Discovery into orbit on STS-131, one of its final missions. A space shuttle that has racked up an impressive list of firsts is about to add one more — it will soon become the first in NASA's fleet to be retired. Space shuttle Discovery made its debut back in 1984, with a satellite-deploying spin through space that included a congratulatory phone call to the crew from President Ronald Reagan. Now Discovery is about to embark on its final mission, marking the beginning of the end of NASA's 30-year-old space shuttle era. Everything that the space shuttle was intended to do, Discovery, and only Discovery, has done. 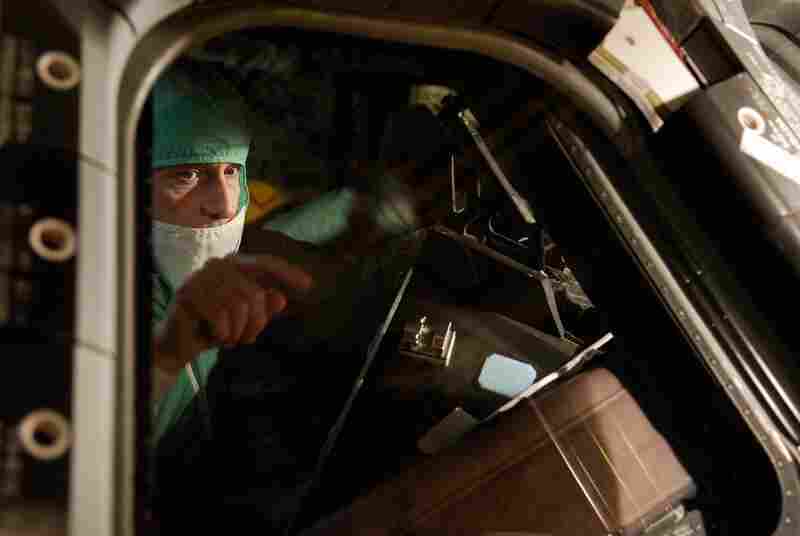 "Am I sad because this is Discovery's last mission? I am. I would love to see Discovery continue to fly, as would everybody else that I work with as well," says Stephanie Stilson of Kennedy Space Center in Florida, who leads the ground crews that take care of Discovery between its flights. "We all would love to see the shuttle program continue for years and years." But NASA plans to retire its aging fleet this year. Each of the shuttles has just one flight left. After that, they are slated to become museum exhibits. And NASA astronauts will have to be ferried up to the International Space Station first by the Russian space program, then possibly by commercial space companies. All of this means that Discovery's final flight — scheduled to launch Thursday afternoon — is an emotional time at the space agency. Stilson says that the people who work on Discovery every day have become very attached to it and "really consider it almost like a baby." Discovery's first commander, Henry "Hank" Hartsfield, recalls that more than 26 years ago, this particular shuttle was just the third in NASA's fleet, joining Columbia and Challenger. "It was a new vehicle, and it looked like the others," Hartsfield says, but he remembers it fondly and has always paid special attention to its launches. "I watch all of them, but I especially watch Discovery when it goes." Columbia and Challenger were both lost in disasters, so Discovery is now the oldest in the fleet. It's also the workhorse, having flown more missions than any other shuttle — its upcoming flight to the space station will be its 39th trip into orbit. Its total days in space add up to almost a whole year, and it has carried 194 different astronauts, according to NASA. 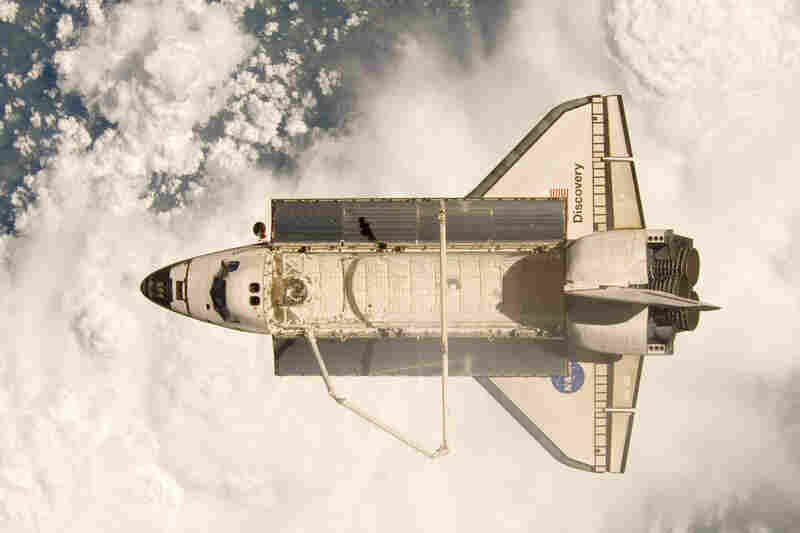 "Discovery is the champion of the shuttle fleet," says Valerie Neal of the Smithsonian National Air and Space Museum in Washington, D.C., which is hoping to get Discovery for its collection. "Everything that the space shuttle was intended to do, Discovery, and only Discovery, has done." 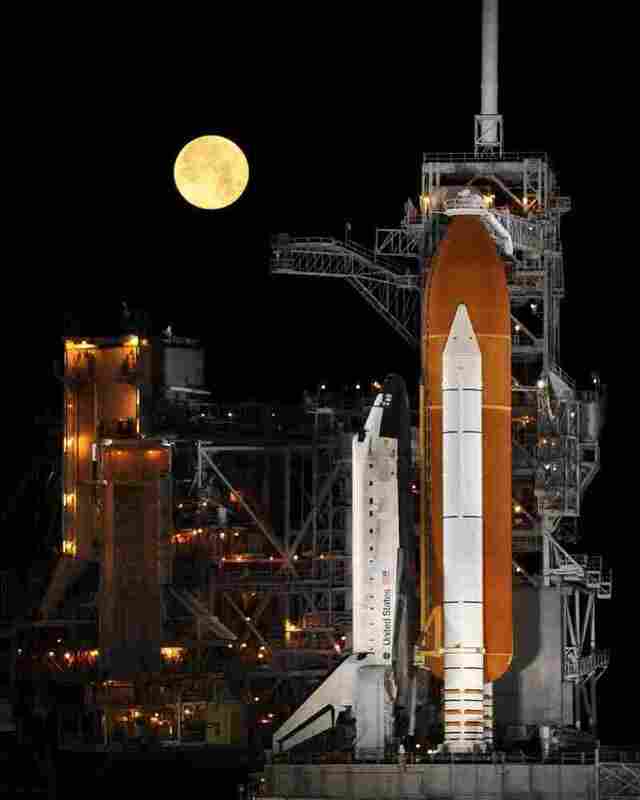 A nearly full moon sets as the space shuttle Discovery sits atop Launch Pad 39A at the Kennedy Space Center in Cape Canaveral, Fla., in the early morning hours of March 11, 2009. Discovery, she says, has deployed satellites — including the Hubble Space Telescope in 1990 — carried out science missions and hauled up big chunks of the International Space Station. Over the years, its crews have featured a bunch of famous firsts, such as the first Russian cosmonaut to ride on a shuttle, the first female pilot, and the first African-American commander. What's more, John Glenn, the first American to orbit the Earth, returned to orbit with Discovery in 1998. And both times that NASA had its heart broken by a major shuttle disaster, Discovery was the first shuttle to return to flight and get the agency back on track. "It is a historic thing, I think, that we have such a special vehicle to fly," says astronaut Nicole Stott, who flew on Discovery in 2009 and will also be on its final mission. "And the hope, in addition to having a successful mission, is that in conclusion, we'll be celebrating the real significance of the vehicle itself." Already, Stilson says, NASA has arranged for its workers to have time for special photo opportunities with Discovery. After all, even though its most famous exploits were in space, the shuttle did spend most of its life on the ground, in the care of workers who lovingly tended to its every need. "We get to put our hands on the vehicle every day; we get to take care of Discovery, make sure that when we do get to a point where we're ready to launch, that it's safe and then very successful for those astronauts who get to borrow it from us for that period of time," says Stilson. For now, she says, her team is mostly just excited to see Discovery launch and have a successful mission. Even though they know this flight will be the last, she says, "I think the realization will hit more so at touchdown, when we do land Discovery back here." That's when the members of her team will once again start to get Discovery ready for its next mission — but this time, they'll be getting it prepped not to go into space, but to be an exhibit for a museum.